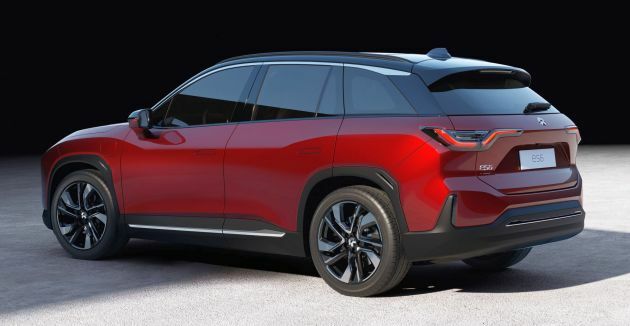 Electric vehicle start-up Nio has unveiled its new ES6, the electric SUV making its global debut over the weekend at the company’s annual Nio Day event in Shanghai. The ES6’s introduction comes exactly a year after the larger ES8 was first announced. Tagged as a high-performance long-range intelligent electric SUV, the 4.85 metre-long offering presents a flowier, cleaner outlook compared to the chunky-looking ES8. Underneath the skin sits a high-strength 7075 aluminium and carbon-fibre reinforced plastic (CFRP) hybrid structure, with nearly two square metres of CFRP being utilised for structural parts. Inside, there’s plenty of plush to accompany the tech, with Nappa leather upholstery and microfibre suede for the car roof lining. 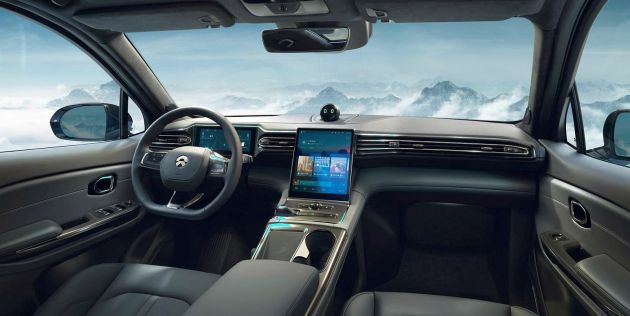 There’s a fully-digital instrument cluster and a large tablet-sized central display screen, and the ES6 also comes with a Nomi in-car AI infotainment system, which integrates music, services, software and hardware workings under its umbrella. Kit includes a three-spoke sport steering wheel, front sports seats, an intelligent fragrance system and an optional Lounge Seat layout. Also on, Nio Pilot, the automaker’s advanced autonomous driving assistant system. On the higher-end examples, the ES6 will be equipped with both a high-efficiency permanent magnet and a high-performance asynchronous motor. The permanent magnet motor is a 160 kW unit and is responsible for handling low- and medium-speed daily driving duties. With a 97% energy conversion efficiency rate, the company says that this will maximise range. A 240 kW, 15,000 rpm induction motor, meanwhile, offers the SUV great acceleration performance and high speed. Maximum output is 536 hp (or 544 PS, as listed). The ES6 will be available in three variants, a Standard Edition equipped with a dual permanent magnet motor, a Performance Edition with both permanent and induction motors and active air suspension, and finally, a Premier Edition, which is the Performance Edition with all the optional packages and premier signature packs added on as standard fit. The latter will only be available in a limited run of 6,000 examples. Two battery versions will be available – as standard, the ES6 will come with a 70 kWh unit, but an optional 84 kWh pack offers the SUV an extended operating range. Both battery units will be available for the Standard and Performance variants. With the 84 kWh unit strapped on, the Performance Edition ES6 is capable of a 510 km range on a single charge (NEDC cycle). With the 70 kWh battery, range for the variant is 430 km. As for the Standard Edition, the maximum operating range is 410 km with the 70 kWh battery and 480 km if with an 84 kWh unit. Performance figures include a 4.7 second 0-100 km/h sprint time (5.6 seconds for the Standard) and a 200 km/h top speed. Equipped with Brembo four-piston brake calipers and an iBooster electric brake booster system, the ES6 – which rides on Pirelli P-Zero rubbers as standard – can haul to a stop from 100 km/h in just 33.9 metres. Pre-subsidised pricing for the Nio ES6 starts from 358,000 RMB (RM217,280) for the Standard 70 kWh variant and goes up to 448,000 RMB (RM271,910) for the Performance 84 kWh. Deliveries are slated to begin from June next year. 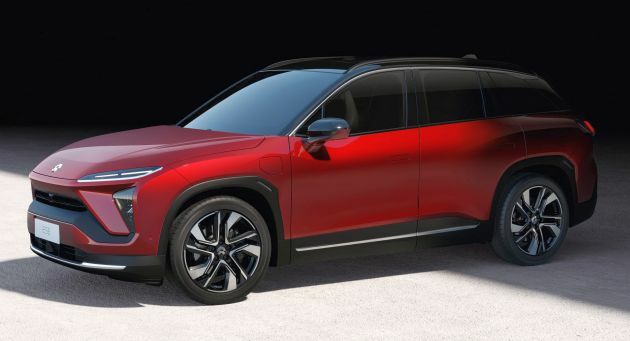 The company also announced a battery upgrade plan for the ES8, saying that the 84 kWh battery upgrade option will be available for the SUV sometime in the third quarter of 2019. It also announced the pricing of a six-seater ES8 variant – starting from 456,000 RMB (RM276,760), order books are set to open for this on December 24, with deliveries beginning from late March. This is my first time hearing this car brand, and I’m glad that they’re actually releasing a product. Instead of being one of those concept electric cars. They nailed this one. Wow. Just wow. Nice Autocad & Dreamweaver rendered images. nice design but considering Chinese EV companies string of failures in USA and Europe. this one also will fail for sure. we can see all other EV companies from China that dies in USA and Europe. USA is protectionist toward their own trade industry. recently canada just arrested daughter of huawei CEO, on behalf of USA. At least I know EP9 is a real deal, thumbs up Nio! All EV so so so expensive. Mass produce it and cost will be lower. Thought is was a Citroen at first look…down to the logo.